Based in New York and launched in 2012, Blue Apron is a highly successful company that has long been one of the best meal kit delivery services in the United States. Its pre-portioned ingredients are fresh and natural, its recipes are both simple and innovative, its subscriptions are flexible, and its prices are more than affordable. 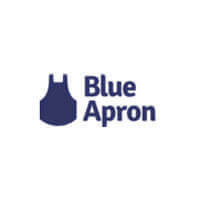 Keep reading our Blue Apron review to find out exactly what you get with this industry leader. Blue Apron is a popular boxed meal delivery service that caters to busy home cooks. It aims to make healthy eating easier by delivering sustainable, pre-measured ingredients and easy-to-follow dinner recipes that take about 20-40 minutes to prepare. When it first entered the market, it was one of the few services of its kind in America. In spite of the concept being new to US customers, the service gained a lot of attention and its customer base grew rather quickly. Nowadays, it is a well-known brand with a good reputation and it remains one of the top choices among meal kit fans. The idea behind Blue Apron is simple. Since most contemporary Americans have little free time but still want to enjoy homemade meals at least a couple of times a week, this service offers to help by handling the most time-consuming aspects of home cooking. 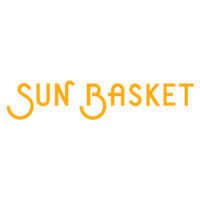 It acts as a personal grocery shopper and meal planner and offers convenient doorstep delivery. If you choose to cook with Blue Apron, your only job is to decide how much food you need, pick the recipes from its ever-changing menu, and once the desired recipes and the required ingredients reach your home, roll up your sleeves and get cooking. If you are not an experienced cook, there is no need to worry, as Blue Apron meals are designed for novices, not award-winning chefs. Thus, if you value convenience, want to eat better, and do not mind spending about half an hour in the kitchen every now and then, this service may be a pretty good fit for your needs. 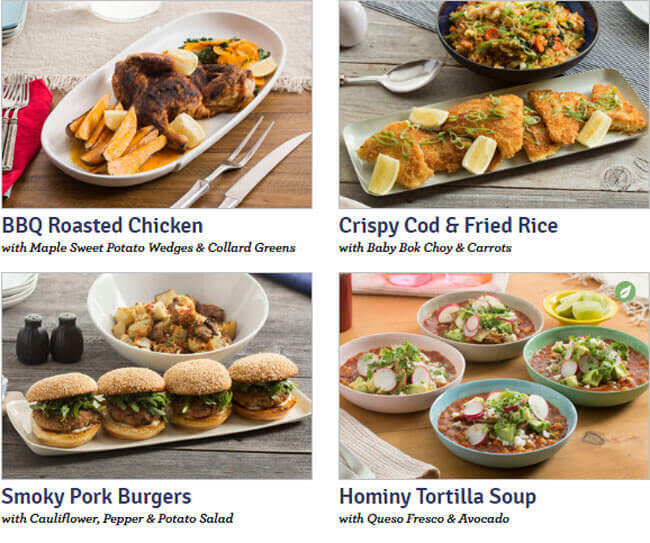 Blue Apron offers 4 meal plans and 4 corresponding weekly menus. You can choose the plan that suits your needs and decide how many meal kits you want to receive per week, how many servings you want to get per meal, and which recipes you want to make. The meal plans come in 2 variations, including 2-serving and 4-serving options. At your disposal are the 2-Serving Signature plan, the 2-Serving WW Freestyle (Weight Watchers reimagined) plan, the 2-Serving Vegetarian plan, and the 4-Serving Signature plan. The Blue Apron menu is divided into 4 sections, one for each of the meal plans. 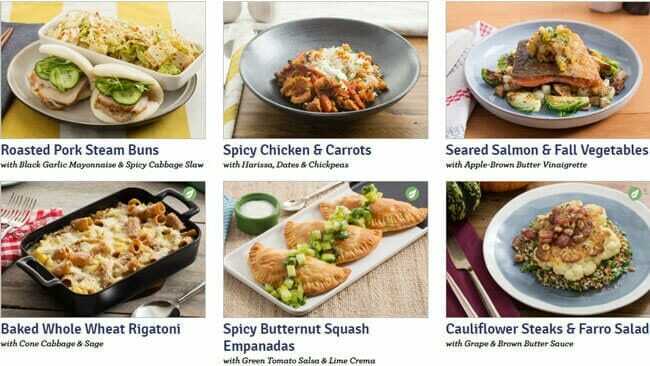 It features 22 new recipes every week,: 8 of them are available in the 2-Serving Signature section, 6 of them in the 2-Serving WW Freestyle section, 3 in the 2-Serving Vegetarian section, and 5 in the 4-Serving Signature section. You get to pick 2-4 recipes per week, depending on the meal plan you choose. Once you decide what you want to cook that week, the Blue Apron team sources and pre-measures all the ingredients, packs them into insulated boxes, and brings both the ingredients and the recipes to your doorstep. When everything arrives, all you have to do is follow the clear and simple step-by-step recipes. From the exact kitchen utensils, pots, and pans you need to use to the proper way to prepare each of your ingredients, everything is covered in the interactive instructions written with beginners in mind. Blue Apron even has a handy mobile app to assist you and a nice selection of how to videos that can show you what to do if you’re feeling stumped. If you don’t have all the necessary cooking utensils and/or dishes, you can order anything you need from the Blue Apron website. The market page offers a selection of high-quality cooking gear that you can use to prepare Blue Apron (and other) meals. In addition, if you don’t want to bother with choosing and then buying a wine to go with your meal, you can subscribe to the company’s monthly wine delivery plan and have a box of carefully selected wines delivered to you every month. Finally, it is important to know that Blue Apron meal kit and wine subscriptions and perfectly flexible. You can skip or reschedule your delivery whenever you want and you can cancel your subscription at any time, no questions asked. Just be sure to make the desired changes before your order is processed or shipped. You can check the status of your order directly from your Blue Apron account. If you choose to cook with Blue Apron, your only job is to decide how much food you need, pick the recipes from its ever-changing menu, and once the desired recipes and the required ingredients reach your home, roll up your sleeves and get cooking. What makes this service stand out from countless others is its focus on responsible food growing practices. Blue Apron is very selective when it comes to partnering with suppliers. It works with fisheries that source sustainable seafood recommended by Seafood Watch. It partners with local farmers so it can get all the fruit and vegetables when they are at the peak of freshness. It does not source GMOs and takes serious measures to ensure that its ingredients are natural and good for you. The meat comes from over 100 family-run farms across the US that employ the best sustainability practices, grow their animals with care, and oppose to the use of added hormones and other growth promoters. Why is this important? Well, favorable deals with suppliers make sure everybody benefits from the deal. The farmers have a guaranteed buyer, Blue Apron has a steady supply of produce, and the customers get high-quality ingredients to cook with. Another part of the Blue Apron mission is to combat food waste and unsustainable food growing systems. Fruit and vegetables are grown with minimum pesticide use and using regenerative soil practices, allowing the land to remain healthy for years to come. Every recipe you get from Blue Apron comes with a wine pairing. If you don’t feel like picking out your own wine or just don’t want to go shopping for anything, the service has you covered there, too. By signing up for Blue Apron’s monthly wine club, you get a nice box with six 500 ml bottles of wine along with a story behind each wine, some tasting notes, and pairing tips. You can choose to receive all whites, all reds or any combination of the two, in accordance with your monthly menu. Last but not least, if you need to send someone a thoughtful gift on short notice, Blue Apron is an excellent solution. You can send your friend an electronic wine or meal gift card and decide on the card’s value. Alternatively, you can pick up something useful at the Blue Apron market. Like we mentioned earlier in this Blue Apron review, the meal kit delivery service offers 4 meal plans. With the 2-serving plans (Signature, WW Freestyle, and Vegetarian), you can select 2 or 3 recipes, each suitable for 2 adults. If you opt for the 4-Serving Signature plan, you get to choose 2, 3 or 4 recipes designed to feed a family of 4. The menu is quite diverse and features something for nearly any taste, with plenty of meaty, seafood, and veggielicious options. The recipes are inspired by various world cuisines and there are always at least a few meal ideas for those who love the Mediterranean cuisine. Blue Apron is particularly well-known for its healthy and creative renditions of street food favorites from around the globe. However, it does not offer too many special diet options. The Vegetarian plan is there to satisfy the needs of home cooks who steer clear of meat and fish and the WW Freestyle plan is great for maintaining a healthy diet and weight by following the basic Weight Watchers principles. Patrons with specific tastes can customize their preferences prior to checkout and select or rule out beef, poultry, pork, lamb, fish, and shellfish, depending on what they (do not) want to get in their deliveries. Customers with food allergies need to check the allergen info included in the recipes since allergen-free items are not clearly labeled or categorized as such. The menu does not cover other popular diets, like vegan, keto or Paleo. Home cooks with a hearty appetite might be happy to hear that Blue Apron meals generally come in ample portions. While the service frequently features recipes under 500 calories, some of the dishes on the menu may contain up to 1,000 calories per serving. Therefore, if you are watching your weight, be sure to check the nutritional information before ordering, even if you opt for the WW Freestyle plan. In your package, you receive all the needed ingredients in pre-portioned amounts, along with step-by-step recipe cards to guide you through the cooking process. Blue Apron takes care to inform you about the details of your ingredients, so nutritional and calorie labels are provided with each order. The labels include information about nutrients, daily values, possible allergens, sugars, and fat. These values might vary only slightly depending on other ingredients you may add during cooking, such as oil. If you are interested in cooking something not currently on the menu, you can check out Blue Apron’s cookbook, which features all the recipes that were on offer so far. You can prepare these meals on your own if you wish. As we mentioned previously in our Blue Apron review, another interesting option that the service provides its customers with is wine delivery. If you decide to order wines to go with your food, you will receive 6 wine bottles per month, 500 ml each – just about enough for two people. By signing up for Blue Apron’s monthly wine club, you get a nice box with six 500 ml bottles of wine along with a story behind each wine, some tasting notes, and pairing tips. Blue Apron charges $7.49 to $9.99 per serving. The price is determined based on how much food you order every week. By increasing the number of meals and servings in your order, you get your meal kits at a lower price and also save money on shipping. No matter which 2-serving meal plan you choose – Signature, WW Freestyle or Vegetarian – the price is always the same. You pay $9.99 per serving regardless of whether you choose 2 or 3 recipes per week. That means that your weekly orders cost $39.96 if you order 2 recipes for 2 people or $59.94 if you get 3 recipes yielding 2 servings each. However, it is important to know that if you opt for one of the 2-serving plans, shipping is only free if you order 3 recipes per week. If you get 2 recipes per week, there is a $7.99 shipping fee. The 4-Serving Signature plan is more affordable than the 2-serving options and it always comes with free shipping. 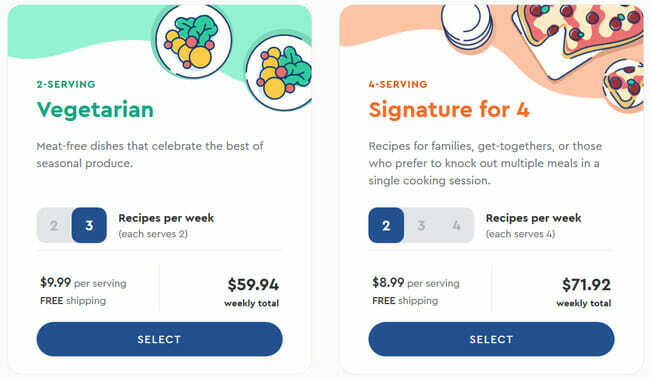 With this plan, you pay $8.99 per serving if you order 2 recipes, $7.99 per serving if you order 3 recipes, and $7.49 per serving if you order 4 recipes per week. Since each recipe yields 4 servings, the weekly total is $71.92 with the 2-recipe option, $95.88 with the 3-recipe option, and $119.84 with the 4 recipe option. Finally, if you decide to order wine from Blue Apron, you pay just $65.99 for your 6 bottles per month, with shipping included in the price. Blue Apron delivers its recipes and meal ingredients throughout the continental United States. It does not ship to Alaska and Hawaii. Depending on where you live, you may be able to choose the desired delivery date and change it at your convenience. You do not have to be at home to receive the delivery – unless you are ordering wine, in which case an adult signature is required. The food is transported in insulated packaging in order to preserve freshness. Furthermore, the company offers its unique Freshness Guarantee. If you notice that there is an ingredient missing or your food arrives damaged or not in an acceptable cooking condition, you can get in touch with the Blue Apron staff within 7 days after delivery and receive a replacement, refund or credit that you can use for future orders. To make sure Blue Apron meets all your standards and expectations, it is important to know its biggest advantages and disadvantages. With a short overview of its pros and cons, you can easily decide if Blue Apron is the right meal kit service for you. If you subscribe to Blue Apron, you can easily prepare culinary masterpieces using only the ingredients and recipes found in your meal kit box. You may not be a pro chef just yet, but with Blue Apron, you can easily make restaurant-grade meals. You don’t have to take our word for it – check out the images below to get a better idea of the types of dishes you can enjoy with Blue Apron. While doing research for our Blue Apron review, we were pleasantly surprised to see so many interesting recipes and wine pairings. The service has certainly done an excellent job of enabling you to tune the recipe offers to your personal dining preferences. Not only can you select different plans, but you can also choose the types of meat you want to receive or opt for vegetarian recipes in case you’re not much of a meat lover. The delivery area coverage is excellent, so you can order from Blue Apron no matter where in the continental US you live. On the downside, the service is not allergy-friendly and it does not offer too many options for special diets. We were a bit disappointed to see that the free shipping policy does not apply to 2-recipe boxes with the 2-serving plans, but we understand that in such cases, the weekly total is not enough to cover the shipping costs. After weighing up all the pros and cons, we can honestly say that in spite of the abovementioned shortcomings, Blue Apron remains one of the best choices for home cooks who want to maintain a healthy diet with significantly less effort. How to cancel Blue Apron? The easiest way is to log into your Blue Apron account, visit https://www.blueapron.com/cancel_subscription, and fill out the form. Alternatively, you can send an email to cancellations@blueapron.com and wait for the instructions. More info here. Which is better – Blue Apron or Hello Fresh? Both are excellent meal kit delivery services that provide ingredients of the highest quality and focus on quick-prep recipes. Their average price per meal is the same, but Blue Apron offers free shipping on most orders. Discover more in our detailed Blue Apron vs. Hello Fresh comparison. Where is Blue Apron located? Blue Apron is based in New York. Blue Apron Inc. had its initial public offering in 2017. Its shares are publicly traded on the New York Stock Exchange. The ownership structure includes the general public, institutions, private equity firms, and individual insiders. How long does Blue Apron food last in the box? It should stay fresh for up to 48 hours. Boxes contain ice packs and insulated liners to keep the food fresh during transit and several hours after delivery. For optimal freshness, you should put your ingredients into the fridge immediately upon arrival. How to recycle Blue Apron? Blue Apron packaging is recyclable, but the meal kit delivery service no longer has a recycling program. You can visit the Recycling page in your account to learn more about recycling the package at home. Where does Blue Apron ship from? Blue Apron has several fulfillment centers in the USA. The company currently operates fulfillment centers in Linden, NJ, Arlington, TX, and Richmond, CA. How to pause Blue Apron? With Blue Apron, you can skip a weekly delivery directly from your account if the order has not yet been processed. Log into your account, scroll to the week you wish to cancel on the Upcoming page, and confirm that you want to skip that delivery. Blue Apron ships its meal kits mainly through FedEx. How long do Blue Apron meals last? You should use the ingredients that Blue Apron sends you the week you receive them. Seafood dishes should be eaten first. If you are unsatisfied with the quality of any of your ingredients within 7 days of receiving your delivery, you can request a refund. What to do with Blue Apron ice packs? Blue Apron uses recyclable packaging, including ice packs. To recycle your Blue Apron ice packs, visit the Recycling page in your account where you will find detailed instructions on recycling each packaging item at home. What time does Blue Apron deliver? When you sign up to receive Blue Apron and enter your zip code, you have the option to select your preferred delivery day from a list of available options in your area. You can expect your order anywhere between 8 AM and 8 PM on the delivery date. When did Blue Apron start? Blue Apron was launched in 2012. How much does Blue Apron cost per meal? With any 2-serving meal plan, the price per serving is $9.99. With the 4-serving Signature plan, you pay $8.99 per serving for 2 recipes, $7.99 per serving for 3 recipes, and $7.49 per serving for 4 recipes per week. More on Blue Apron pricing here. How do Blue Apron free meals work? In the Free Meals section of your account, you may get an invitation to participate in the Referral Program by inviting your friends and family to join Blue Apron. In return, you get referral credits that you can use for future eligible orders. Some of the ingredients that Blue Apron sends are certified organic by the USDA. How healthy is Blue Apron? Blue Apron is committed to using high-quality ingredients that are natural and good for you. The company is focused on responsible food growing practices. 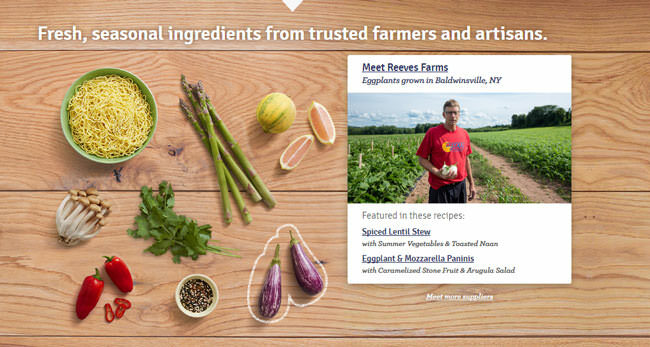 Blue Apron does not source GMOs and uses meat that is produced without added hormones. Where does Blue Apron food come from? Blue Apron is very selective when choosing suppliers. The company buys meat, fruit, and vegetables from family farms that use sustainable farming practices. It partners with fisheries that source sustainable seafood recommended by Seafood Watch. How to redeem Blue Apron gift card? Visit https://www.blueapron.com/pages/redeem, enter the code from your gift card in the appropriate field, and click on the Redeem button. The gift amount will be shown in the Upcoming page of your Blue Apron account. How to gift Blue Apron? To send Blue Apron as a gift, just choose the gift type and amount and proceed to checkout. You can print the gift card at home and share it with the recipient or have Blue Apron email it to whomever you want with redemption instructions. When does Blue Apron charge? Blue Apron subscribers will be charged approximately three to five days before their delivery date unless they decide to skip the order. Where is Blue Apron available? Blue Apron delivers its meal kits throughout the continental United States. The company does not ship to Alaska and Hawaii. Follow this link for more information on delivery. Which is better – Blue Apron or Home Chef? Both are excellent meal kit delivery services. 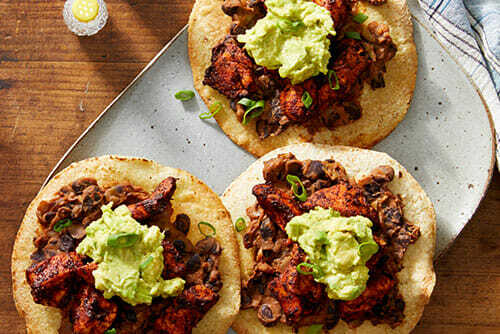 They provide premium quality ingredients and recipes that are quick and easy to prepare. Both companies have affordable prices and offer free shipping on most orders. Find out more in our Blue Apron vs. Home Chef comparison. What other companies are like Blue Apron? There is a growing number of companies whose offering is of similar quality to that of Blue Apron. Check out our list of top 10 companies like Blue Apron to get acquainted with other quality meal kit delivery services. How much is Blue Apron a week? A weekly order costs $39.96 (plus a $7.99 shipping fee) if you order 2 recipes for 2 people. If you order 3 recipes for 2, the price is $59.94. With the 4-serving plan, prices are $71.92, $95.88, and $119.84 for 2, 3, and 4 meals per week, respectively. More on Blue Apron pricing here. How much is Blue Apron a month? With the 2-serving plan, your monthly cost is about $160 (plus around $32 for shipping) for 2 recipes a week and about $240 for 3 recipes a week. With the 4-serving plan, the prices are about $290, $385, and $480 for 2, 3, and 4 meals per week, respectively. More on Blue Apron pricing here. Which services are cheaper than Blue Apron? There is a growing number of meal kit services that are cheaper than Blue Apron. Follow this link to view our list of the cheapest meal kit services that offer great value for your money. Blue Apron does not accept any form of food stamps or EBT. Our ratings are the result of an objective and independent evaluation of Blue Apron, generating the final rating that reflects the overall quality of the company. Ratings may change as the service changes. Blue Apron customer rating based on 50 customer reviews. When I first started using Blue Apron, I was amazed! 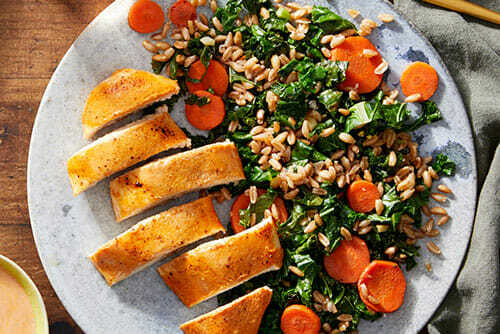 The meals were delicious, flavorful, and very easy to prepare. We slowly switched to eating Blue Apron meals six days every single week and it was all great until a couple of months ago when they started sending the shipments late and missing the ingredients. Sometimes they don’t pack a garnish or a spice which isn’t a deal breaker but I’ve missed main ingredients a couple of times as well. Hope Blue Apron ups their game since I would really hate to switch companies after such pleasant experiences in the past. I have been using Blue Apron for about 10 months now. The ingredients are always fresh. The recipes have been delicious. And the variety and portion sizes make BA a top meal delivery service. I would recommend BA to anyone looking to cook healthy meal options. I love BA and can't imagine what I'd do without them now. I can't remember how we cooked prior to BA. Our meal planning before BA was so blah now that I think about it. Sign up for BA and you really will be glad you gave them a try. Blue Apron has totally changed my life. The food is fresh the recipes are surprising and my family is so happy that I am cooking dinner for them three nights a week. Every year I worry that blue apron will stop sending me food, and then I don't know what I will do. Three cheers for Blue Apron. Very unhappy with this company. Even after you stop your delivery, they charge you again and you get food you do not want, won't eat and they won't refund your money. Buyer beware. Blue Apron has been excellent. We tried BA and from week 1 were impressed. 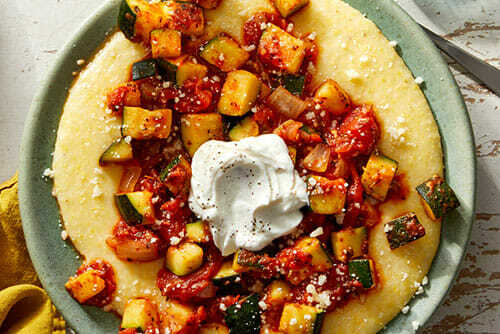 The meals are flavorful, the easy to follow instructions are perfect, and the variety of cuisine is fun. We are truly enjoying the ability to prepare our home cooked meals while exploring new foods, flavors, and regions that we otherwise would have. Thank you Blue Apron!! I’ve been a big fan from the start and BA never disappointed me, not once. There are tons of services that try to do what BA does and fail miserably, these guys are simply inspired and you can see that they are really care. I am a big fan of meal kits and believe me when I say, I’ve tried them all, at least the ones worth trying. Blue Apron has the best recipes BY FAR. Always tasty, always easy, never boring, what more could you possibly want? 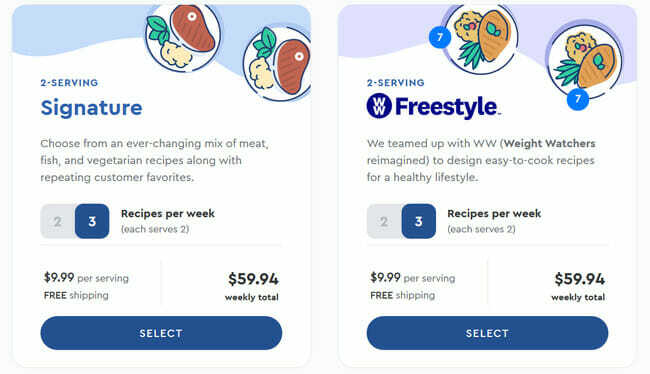 We found 3 verified Blue Apron discounts for April, 2019. 5 Free Meals Get 5 Meals Free on Your First 2 Orders! $32 Off$32 off Whole30 meal kits! Sign up and we’ll let you know about future Blue Apron promo codes. If you like Blue Apron but aren’t sure whether they are truly the ideal choice for you, you may want to take a look at our comparisons below to discover if one of their competitors is more suitable for you.